Here are the Top Ten Benefits of Partnering with a Technology Solutions Provider. Xcelerate your business with a no-cost, comprehensive analysis that will transform your business and improve your competitive edge. Take a few minutes to view our video and learn how we ACT on your behalf! C2XCEL is a professional technology advisory firm providing strategic technology solutions for small and mid-size businesses and enterprise-level companies. We increase operational and financial efficiency using time-tested techniques. Having years of diverse experience, we are able to create cutting-edge recommendations that will transform your network's infrastructure. C2XCEL customizes no-cost comprehensive solutions that are designed to fulfill your immediate needs while considering future technology requirements. As your advocate, our goal is to eliminate the obstacles and frustrations involved with the creation and implementation of a solid infrastructure foundation. This partnership creates a results-oriented environment where the best solutions are born and executed. We’re your technology compass – setting your business on course for success and efficiency. Our mission is to assemble the perfect team and be the catalyst to inspire, incite and augment your existing technological environment for unparalleled success. C2XCEL becomes your dream team by giving you and your employees new and unique avenues to success. C2XCEL is an unbiased advisory team that will unite your myriad communication platforms and elevates efficiency and productivity. We are your compass, your navigator, and your partner. C2XCEL engages every member of the client’s team to ensure all aspects of the company are understood. We promote a culture of accountability and inclusiveness, which becomes infused into every relationship. C2XCEL solutions include; Voice, Network, Collaboration, Mobility, IT Applications, and Security and Management. We are a veteran-supportive and veteran-proud company with the National Veteran-Owned Business Association (NaVOBA). Our program analyzes your current net work infrastructure and locates any business inefficiencies, documenting all expenses. Our dedicated project manager works closely with you and selected carriers to ensure seamless installation of the contracted services. If you need voice, date or cloud solutions, C2XCEL and Jim has been helping our businesses navigate the world of telecom since 2004. They analyze our current services & contracts, discuss our business and technology goals and design a network solution that is right for our business. Then they assisted us in procuring the right services at the best possible prices, manage the installation of services, and become your single point of contact. There is a better way to procure voice, data, and cloud services if you use C2XCEL! C2XCEL has proven to be a valued partner and facilitator as we execute a highly aggressive growth strategy. Opening 50-60 locations each year, we’ve found C2XCEL to be a strong force behind our WAN, redundant integration, and hosted voice program. With new locations consisting of new construction and retro-fitting existing structures, C2XCEL has, and continues to provide management of circuit orders and installations. Their oversite allows us to focus on our business, yet remain on schedule with our store openings. This has been a great advantage to us, and should certainly be an advantage to any organization, regardless of size. When looking at enterprise phone solutions, it’s hard to beat the advanced features of a PBX or Private Branch Exchange. It’s a private phone network designed for use within an organization. C2XCEL is proud to support and be a Member or Board Advisor with the following companies. Operation Once in a lifetime is a 501 (c) (3) non-profit organization created to make the dreams of U.S. Service Members, Honorable Discharged Veterans, and their families come true. When Operation Once in a Lifetime was originally created, it was to offer once in a lifetime experience for our Active Duty Service Members, Veterans, and their families, to give once in a lifetime memories that most of our troops and their families would not normally have the opportunity to have. To learn more about Operation Once In A Lifetime, please visit operationonceinalifetime.com. 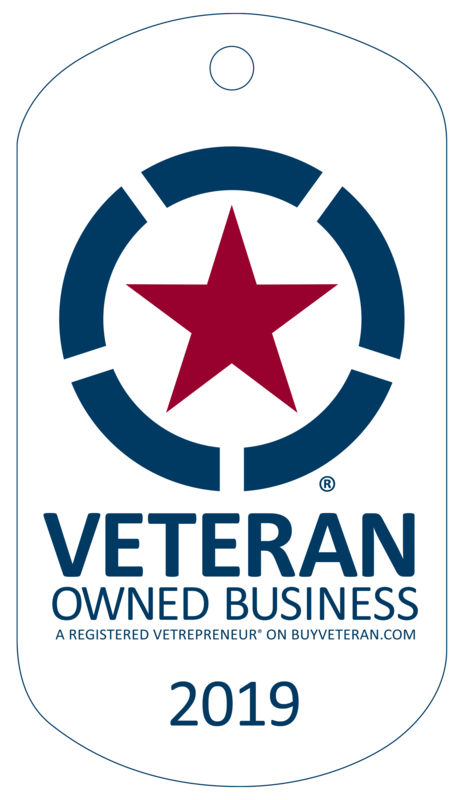 NaVOBA has certified C2XCEL as a Veteran’s Business Enterprise™ (VBE). This certification affirms that this business concern is veteran-owned, operated and controlled. NaVOBA is an independent 501(c)(3) nonprofit organization led by Corporate Supplier Diversity professionals. NaVOBA’s mission is to create corporate contracting opportunities for America’s Veteran’s and Service-Disabled Veteran’s Business Enterprises (VBEs/SDVBEs) through certification, advocacy, outreach, recognition, and education. The Baylor New Venture Competition on-campus event is a two-day business plan competition and elevator pitch competition promoting student entrepreneurship. The competition showcases student created, managed, and owned ventures. Competitors from accredited universities across the globe receive expert feedback, coaching, and a prize package of cash and crucial in-kind business support services, to launch and grow their ventures. To learn more, please visit Baylor New Venture Competition. The Lovejoy Independent School District, founded in 1917, is a public school district located three miles east of Allen and about 25 miles north of Dallas in the rapidly growing region of central Collin County. The district covers approximately 17 square miles. The Lovejoy Independent School District is home to over 4,000 K-12 students. Lovejoy is categorized as a 5A school district for athletics, fine arts, and academic competitions. Lovejoy will remain a district with only one high school with 9-12 enrollment not to exceed 1,900 students. Lovejoy graduated its first senior class in 2010 and consistently receives both state and national recognition for post-secondary readiness. We invite you to experience the Lovejoy advantage! We're Your Technology Compass Setting Your Business On Course for Success and Efficiency. We are here to Xcelerate your business! © C2XCEL - All rights reserved.